This picture was sent to us from Jerry Collins. He said "all ten of the sequoia seedlings planted in the spring of 2009 are surviving, and most are thriving. The largest is now 8'0" tall. 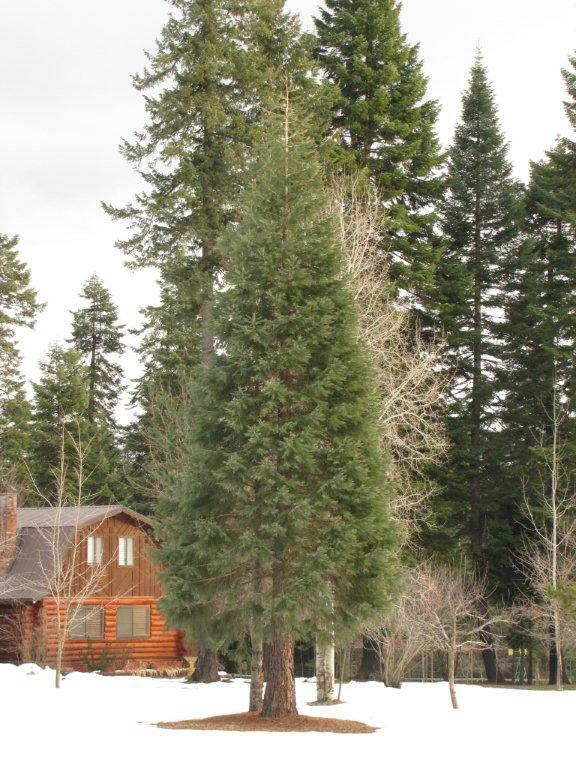 The larger trees seem to be established in their northern Idaho home (Elev. 2200' and 100 mi. s. of Canada) and grew over two feet this year. It is a pleasure to watch them grow. Only one seedling has had minor browsing damage by deer or moose. Thanks for helping these amazing trees spread across the country and globe". 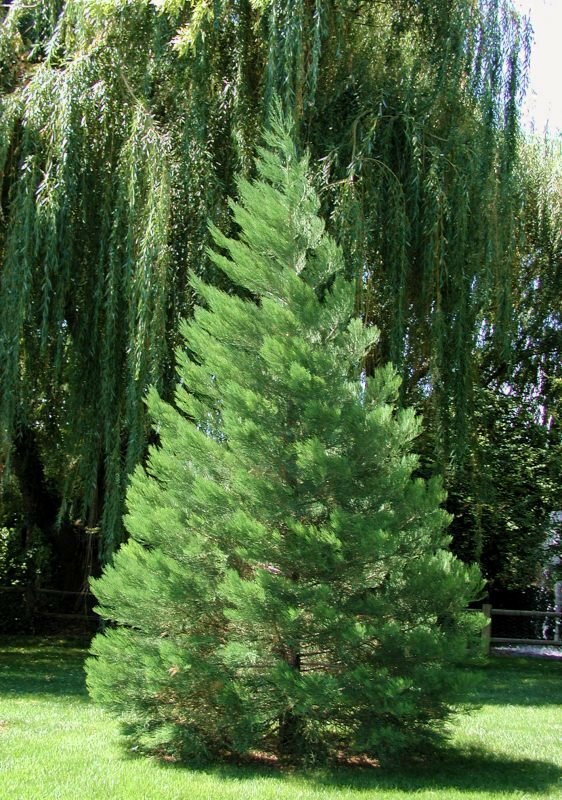 Another image of a tree planted by Jerry Collins in Idaho. Thanks to Jerry Collins for sending these pics of his trees growing in Idaho. Greg Parker from Hayden ID located in the panhandle. We are over 15 miles north of the city of Coeur d' Alene. This tree is under 25 years old and I would say is just over 30 feet tall and a trunk diameter of 2 feet. 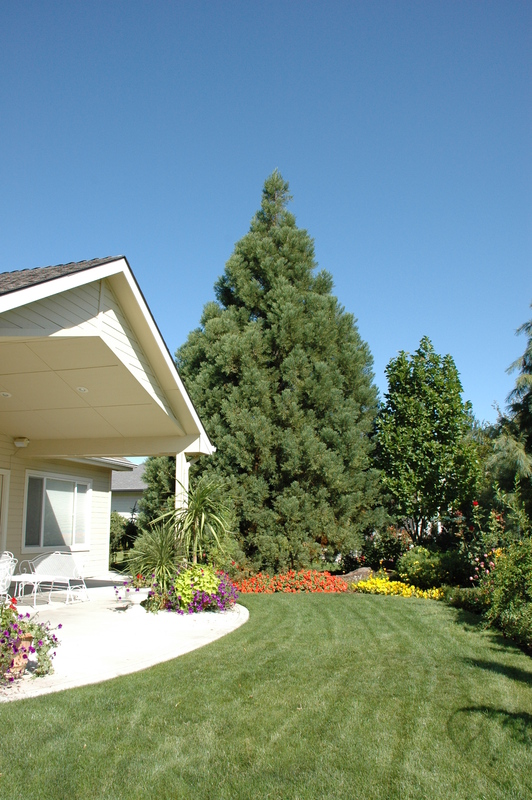 Coeur d'Alene tree - It's a giant Sequoia, guaranteed. I bought it as a seedling from the Sierra Club catalog probably 25 years ago. We are really .3 of a mile off Highway 97 at Squaw Bay on Eddyville Road. It is now about 35 feet tall.